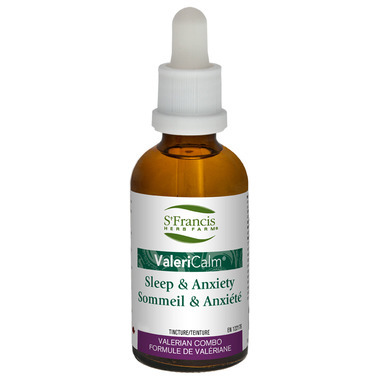 ValeriCalm is a tincture for those experiencing tension, anxiety, and sleep deprivation. The antispasmodic and sedative actions of ValeriCalm help to soothe and relax the nervous system and muscles. Suggested Usage: Adults: Take 1.3 ml (40 drops) 3x daily and at bedtime, in a little water on an empty stomach. Cautions and Warnings: Consult a health care practitioner before use if you have been diagnosed with a medical condition or are taking prescription medication. Driving, machinery operation, and alcohol consumption are not recommended for up to 2hrs after taking ValeriCalm®. After experiencing crippling grief after the death of my dog, and being very anxious through the day and not sleeping at night-this saved me! Immediately I felt a sedative effect that calmed down the tears through the day and knocked me out at night so i could sleep. I don't know what I would do without this, it is helping me a lot through this painful emotional journey. I don't care about the taste, this is potent, effective medicine! Good stuff..I use it for my dog and it is fine..just a bit now and then.. This is wonderful stuff. My son who has trouble sleeping used it one night and in the morning said to me "this stuff really works" The only downside is that it tastes horrible. We used it in water first but a small amount of juice covers some of the taste. Drink it like a shot...really fast... Otherwise highly recommended!